In the course of my career--or perhaps I should just say "my life" (since the two are pretty much synonymous)--I have spent a good deal of my time in gardens. Comes with the turf, I guess...and every garden is miraculous. 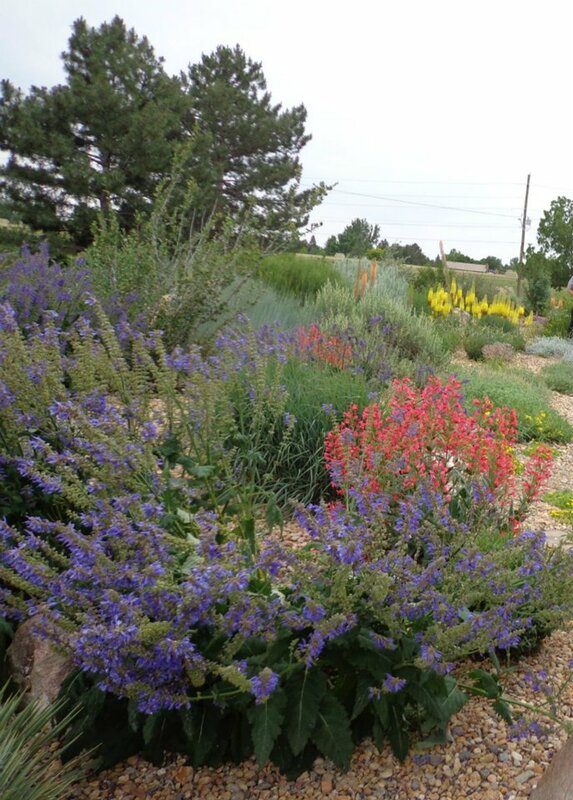 But there are a few....like the Gardens at Kendrick Lake--that never cease to amaze me. This is the Xeriscape demonstration garden of Lakewood, the brainchild of Greg Foreman, although he works alongside a whole team of keen gardeners, several of whom spend a good more time here than he does. The thought that you could make a three acre perennial garden in a city park (and the Lakewood crew actually have several ambitious gardens, and small xeriscapes in many of the 130 parks that are scattered around Lakewood), and keep it in tip top shape year around without volunteer help---well it boggles this professional gardeners mind. Lets not even talk about the dozens of miles of glorious xeric median strips they have installed in recent years...Greg and his troops are constantly renovating, upgrading and just generally polishing their jewel gardens. I visit every few weeks--sometimes even more often. It is so radically different in early morning light from glaring mid-day, and the golden evening light is extremely flattering on this wide open space. If you are in this area and do not visit this garden regularly you are missing out on a horticultural extravaganza second to none. 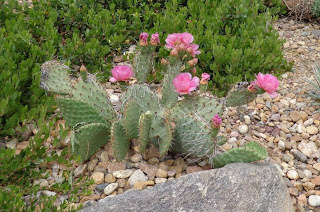 One of the many treats at Kendrick are the way cacti are showcased in so many ways. And of course, hardy ice plants are showcased beautifully. The yellow one on the left is probably 20' wide....That's the way to show off ice plants! 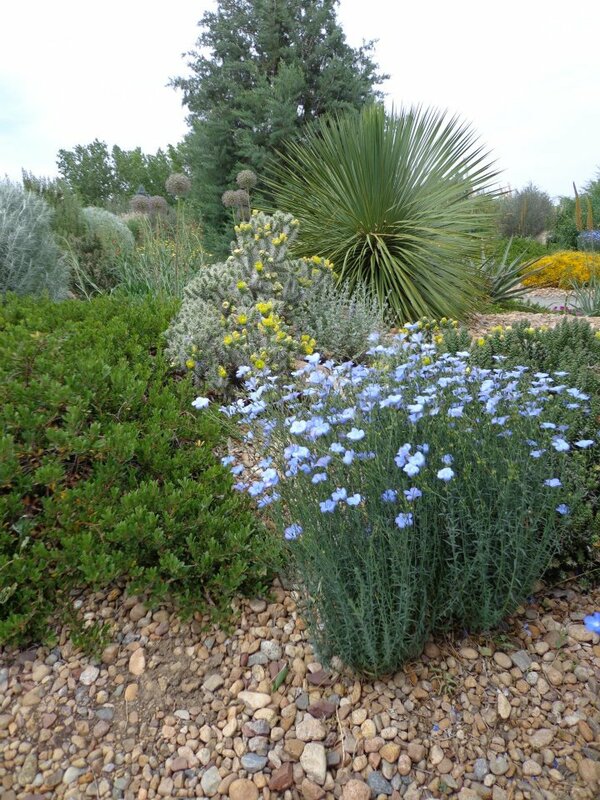 There are Linum narbonense all over this garden: it is probabloy what tipped the committtee of Plant Select into choosing this plant for the program next spring (there are many such plants that have caught people's eye at Kendrick and suddenly they are front runners at Plant Select! Would all Park systems were this inventive and accomplished! My kudos to Lakewoodites one and all, and especially to their Park management and mayor: you have a living monument to your wise governance! That is really cool...way beyond the norm. 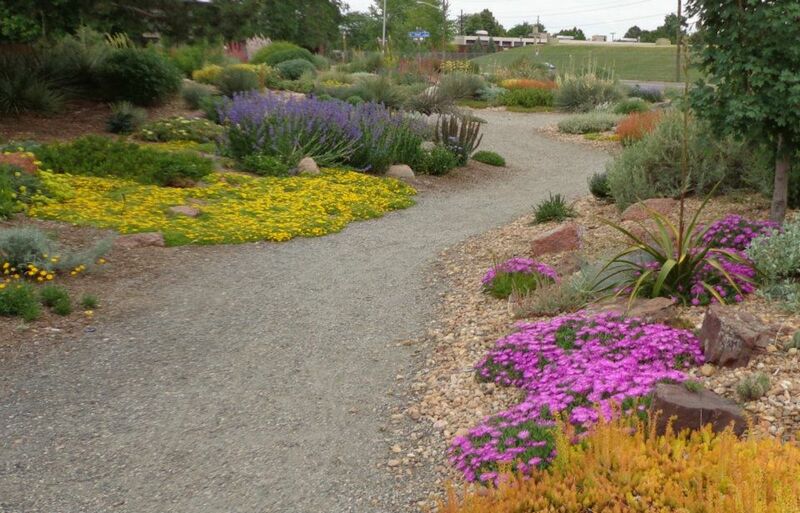 One would think in the oft-noted "birthplace of 'xeriscape' " of metro Denver that it would be more at the forefront of the concept all over. 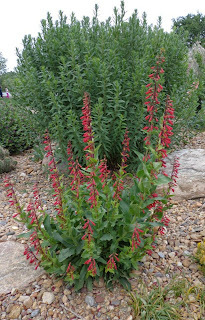 And being nearer the mountains probably helps mitigate some of the cold for the plants you note...nice surprises! Beautiful place, I was impressed even though I saw it later in the growing season and after it was pummeled by hail. Must be looking really fantastic right now. 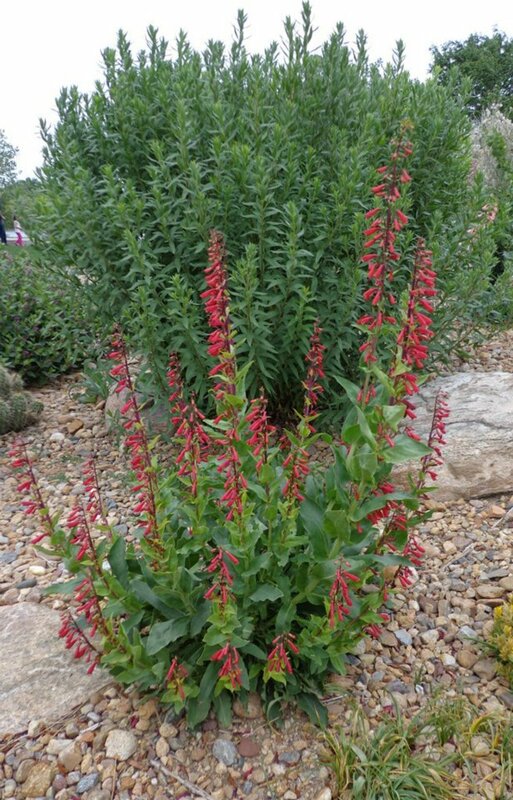 All of these have me swooning but none as much as that Monardella....oooooh lah lah, heart be still !!! One more reason to visit Denver! 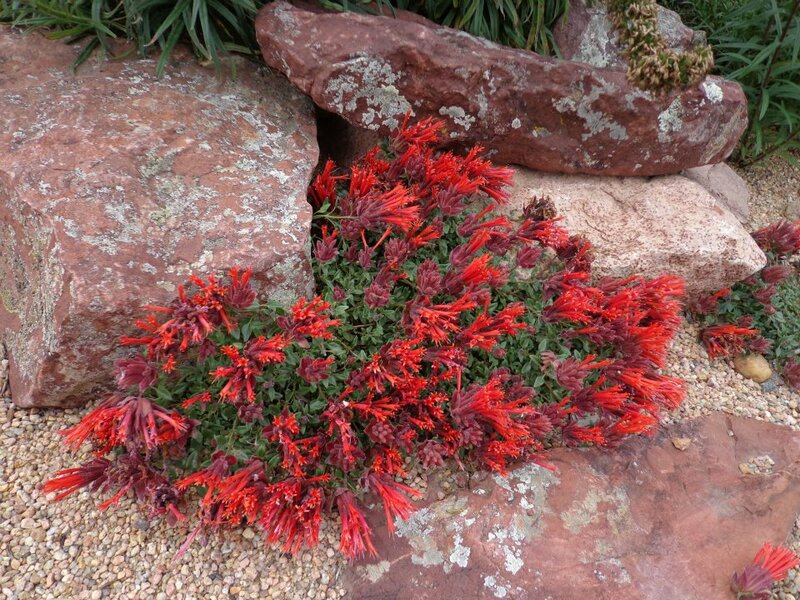 Another good plant that is similar to the Monardella in appearance is Zauschneria garrettii. I recently planted a Plant Select selection purchased at a local garden center. It just started blooming a few days ago. I am looking forward to seeing if it will survive a Northern Illinois winter. The tag claims zone 4 hardiness. Some plants like these and my Mimulus cardinalis are best show cased from a steep slope or wall. This is unfortunately something I do not naturally have at my home. I have been pondering how to create a feature that will bring these flowers up to eye level. It is a puzzle to me how I can make an appropriate feature that would fit into my landscape.